September 20, 2014: 9 am - noon at West Elementary room 118. Address: 41 Central Ave, Athens, OH. Park in the lot behind the school. November 15, 2014: 9-noon at Athens Middle School, 51-55 W. State St., Athens, OH 45701. Ms. Newman to host. We will focus on Mathematical Origami & A Dr. McKeny surprise! Files from Brutus Buckeye Task are to the left (brutus_buckeye..., identifyinghigh-quality..., and brutus_buckeye...revised.docx). • Ohio Paper Folders -- Chinese Water Wheel is here under "Models" tab. • Population Education -- Karen recommended their stuff. • ORC - New home of FAMS. 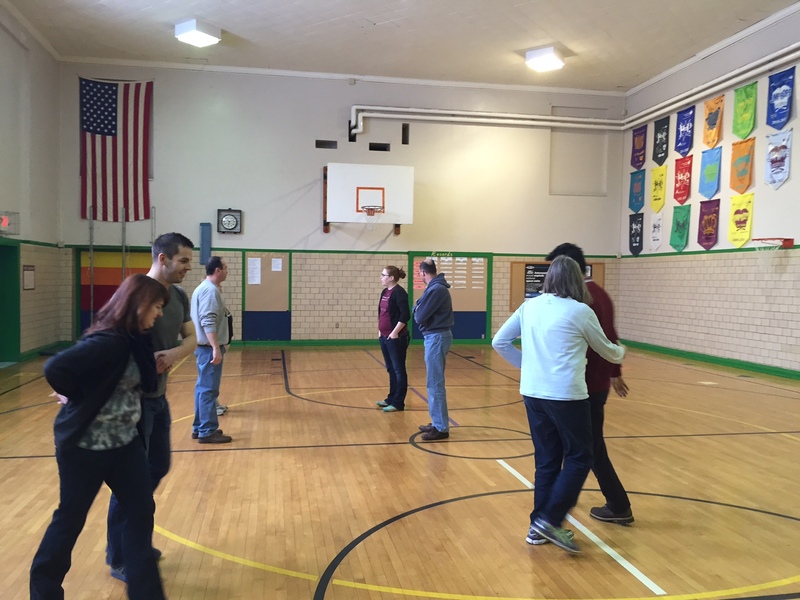 January 24, 2015: Contradancing Mathematics with ¡Javier! 9-noon at West Elementary, 41 Central Ave, Athens, OH, 45701. 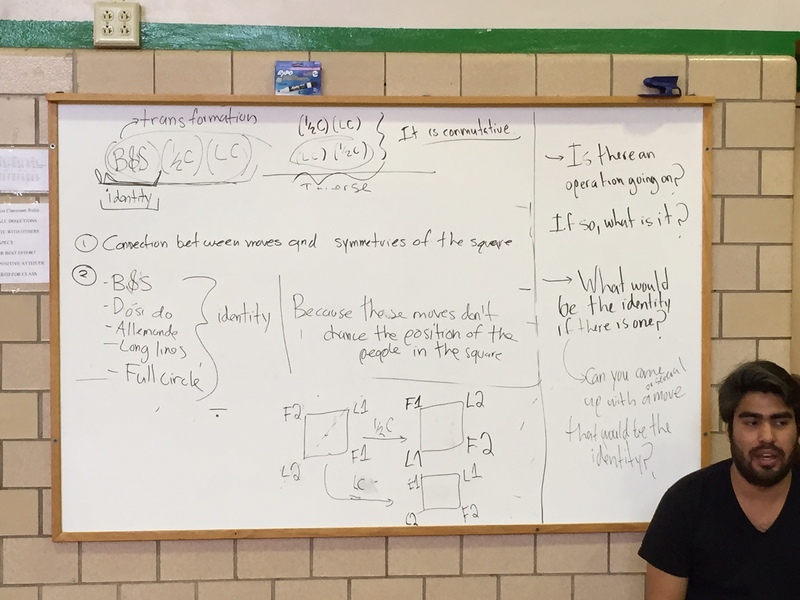 Ohio University's Javier Ronquillo and Mathematician/fiddler, Dr. Mark Barsamian, led us on a kinesthetic exploration of transformations, mathematical properties (including Inverse, Identity, and Commutative,) Algebra, matrix multiplication, Dihideral groups and so much more!